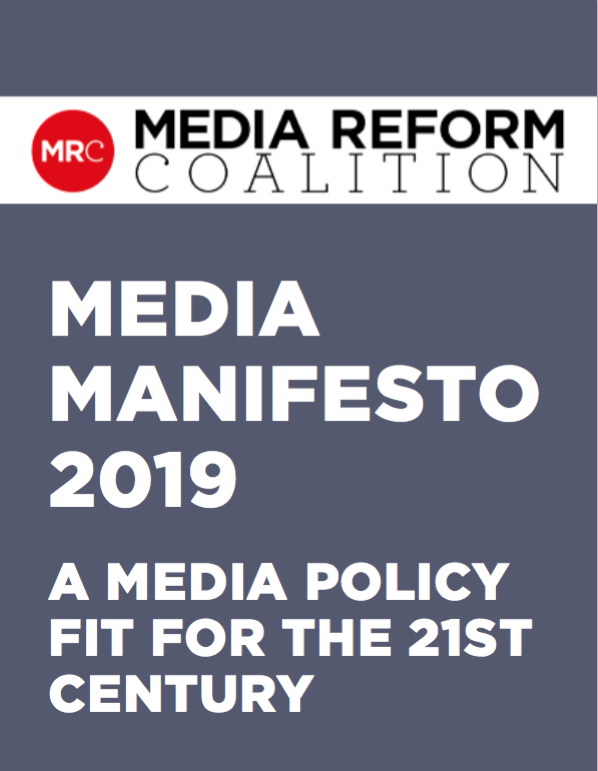 MRC has pulled together extensive academic research and a number of briefing reports produced by, and in consultation with, a broad range of experts and stakeholders to produce our latest Media Manifesto. It charts a roadmap towards genuine progressive reform that is both practical and radical; replacing legacy frameworks with a media policy fit for the 21st century. It consists of proposals on four broad areas: a new framework for media plurality, democratising the BBC, a reformed system of independent press regulation, and challenges to the dominance of platform monopolies. I do not trust the UK media at all. I believe it is misinforming the public, brainwashing the population and trying to distract us from the really important issues , the corruption, the manipulation of facts to falsely accuse and to conceal wrongdoing. It is manipulatory and has been instrumental in the rise of xenophobia, misogyny, homophobia and fear. It is owned mainly by powerful individuals who use it as a platform to push their own agendas . I welcome a complete system change for all media, making it tell the truth ,and an independent body holding it to account when it crosses the line.. The media could be a fantastic tool for alerting the public to what we can do to improve the world as radio did in wartime Britain. Instead it has become a distraction tool , and a propaganda tool. We need a transparent, fully functioning democratic press and television service if we are to survive modern threats to life on Earth .